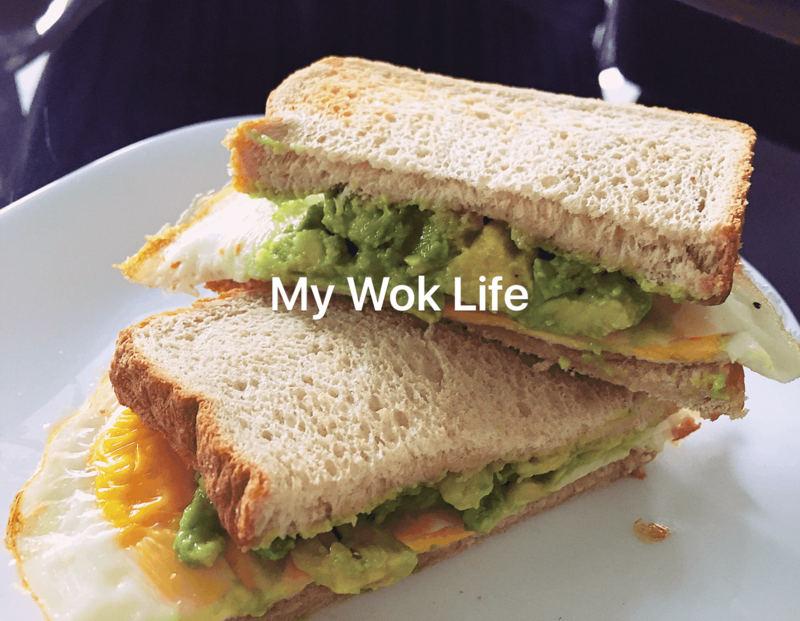 It’s not impossible to fix up a scrumptious and healthy sandwich breakfast without going through extensive cooking process in the busy morning. Air-fryer might be an option. 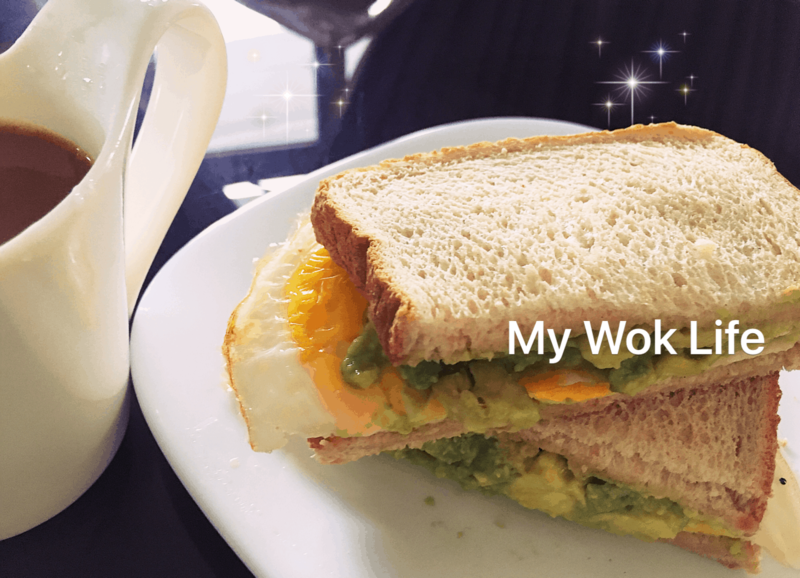 I made an egg sandwich with creamy avocado with an air fryer. Of course, some would still find it easier to do the conventional way, on the stove. Either way, this recipe works. Many people liked avocado but ain’t too sure how to make it delicious other than making it into guacamole or blending into smoothie. Here I have one of the quickest and simplest ways, similar to guacamole but much simpler to do for breakfast meals. (1) Break eggs into air fryer baking tin and place on the mesh basket. Sprinkle salt and pepper on the eggs. Air fry at 180deg Celsius for 2-3 minutes (depends on your desired doneness). Remove fried eggs from baking tin and leave the tin in the air fryer. (2) Place sliced onion in baking tin. Loosen and scatter the onion. Drizzle oil and air fry for 3-4 minutes, or until soften and aromatic. (3) While waiting, cut avocado into halves. Remove seed and scope avocado out into a bowl. Drizzle lime juice, followed by condensed milk to combine. Keep aside. (4) Spread some butter on one side of each bread. Place breads on mesh basket (2 slices at a time), air fry at 170deg Celsius for 2 minutes. Repeat for the other two slices. (5) Assemble the sandwich: Divide fried egg into 2 portions (as it might already combined into one large portion). Place 1 portion on a slice of toasted bread. Top some fried onion, followed by avocado. Cover with another slice of bread. Slice sandwich into halves to serve. A serving of my egg avocado sandwich counts about 330kcal. Tips: No oil is needed as its tin is non sticking material. If you preferred more juicy fried egg, drizzle some oil or butter in the baking tin before breaking the eggs. * If you preferred sunny-side up egg than over-easy (fried egg) type, shorten air frying time or start with shorter timing first. Check doneness during the process. * Avocado can be diced, mashed or sliced to serve. It’s up to you.